If you are a professional or amateur astronomer and want to contribute to the final phase of the SMART-1 mission, join ESA on the impact ground observation campaign. Like most of its lunar predecessors, SMART-1 will conclude its scientific observations of the Moon through a small impact on the lunar surface. This is planned to take place in the lunar Lake of Excellence, located at mid-southern latitudes. A trim manoeuvre at the end of July has determined that the impact will most likely occur on 3 September 2006 at 07:41 CEST (05:41 UT), or at 02:36 CEST (00:36 UT) on the previous orbit due to uncertainties in the detailed knowledge of the lunar topography. The Lake of Excellence is very interesting from the scientific point of view – it is a volcanic plain area surrounded by highlands, but also characterised by ground mineral heterogeneities. “Even if the impact at 2 kilometres per second is of modest energy, the plume might be observable if it reaches sunlight, with an amateur telescope or binoculars,” continues Foing. “For sites not covering the time of impact, we ask for context observations before and after impact to look for the ejecta blanket”. A number of worldwide observatories have already confirmed their participation to the campaign. They include the network of VLBI Very Long Baseline Interferometry and radio observatories, the South African Large Telescope SALT, the Calar Alto observatory in Andalucia, Spain, the ESA OGS Optical Ground Station at Tenerife, Spain, the CEA Cariri observatory in Brazil, the Argentina National Telescope, the Florida Tech Robotic telescopes, NASA IRTF and Japanese telescopes at Hawaii, as well as a number of professional and amateur astronomy telescopes around the world, and the ODIN observatory from space. 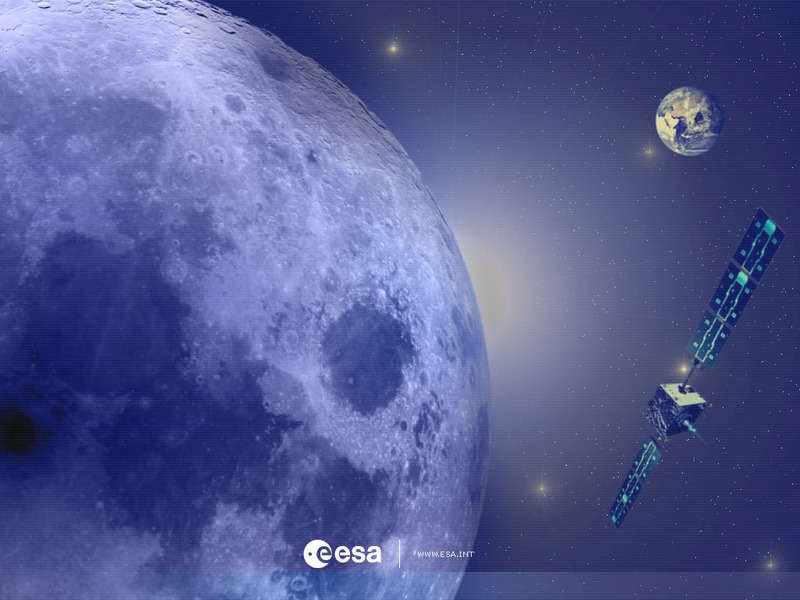 ESA invites the scientific community and amateur astronomers to join in the observation campaign. For more information follow this link.